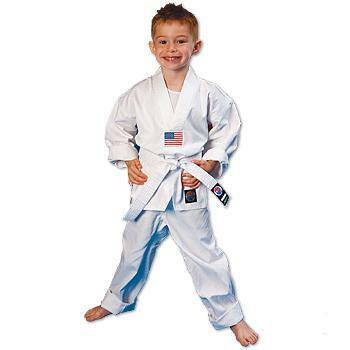 Designed for the TKD martial artist, this uniform is made of a comfortable blend of 55% cotton and 45% polyester. With distinctive v-neck styling, this 6 oz. lightweight uniform is great for students or for workouts during warmer months. Available with white trim only. The uniform set includes v-neck jacket and pants with elastic drawstring waist. A white belt is included. Worn by Martial Arts champions around the world, ProForce® has been a leading manufacturer of quality Martial Arts products for over 15 years. ProForce® continues to bring exciting, high quality products to all members of the Martial Arts industry. The constant re-invention of products produced by ProForce® brands has helped to push the boundaries of gear available to the Martial Arts industry. As a result, ProForce® products have emerged as a brand name recognized the world over.